PlayStation Portable 2 axis analog "joystick"
All that was squeezed to small area 59×38mm. The 2 layer boards will be maufactured by Pool Service in fab house in my country. LCD connector is mirrored, but it could be fixed by using wires and rotating it by 90 degrees. I had to do some framebuffer and software rotating because there's not hardware support for drawing data upside down. But now I see that this layout of LCD is more suitable because the visible area of LCD is starting right of the top of the device. Accelerometer's footprint has smaller pin pitch :( So no accelerometer on these boards :( The good news is that the soldering of this package it's not so hard as I thought. 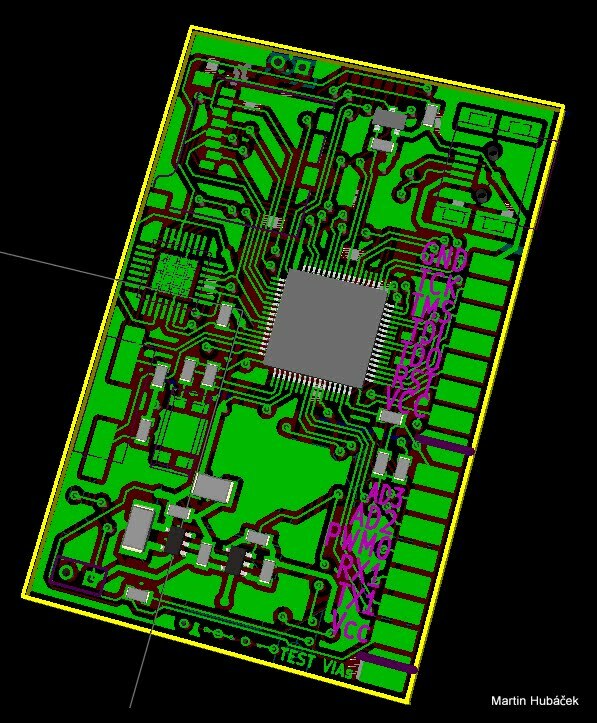 The only thing you have to do is prepare some sort of heat holes under the chip to the opposite side of the PCB. 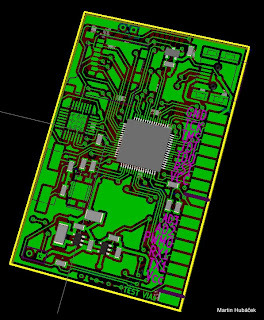 There's some Errata in the RTC of the LM3S5632 so I had to route wire from external crystal also to the RTC clock input, this could count seconds but I have no idea how precise this will be. There's missing capacitor near the voltage input for Li-Ion charger chip. After small reworking charging works. Deep Sleep mode - consumption it's not perfect but I can live with 4mA right now. Now I have to focus to tweak the hardware and low level software, the I create some nokia-like snake game, later IR remote control and some sort of USB device.